West Point is a national treasure. 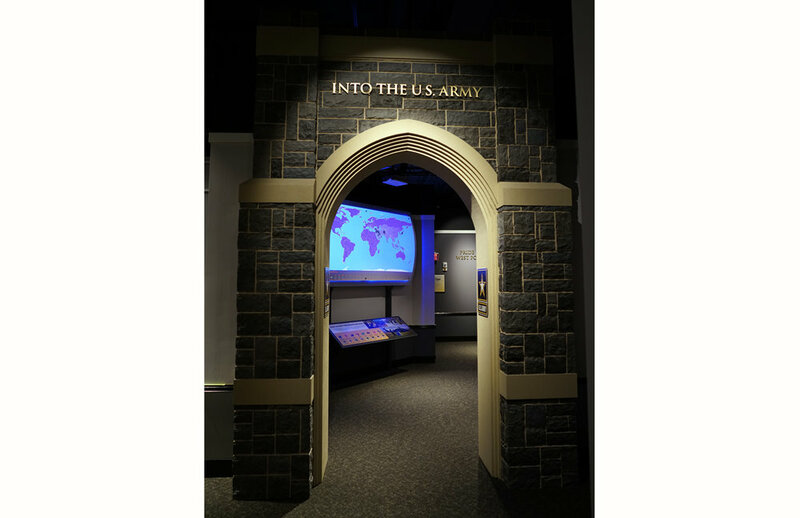 Situated on the Hudson River, it has served our nation for over 150 years by developing leaders of character for the United States Army. 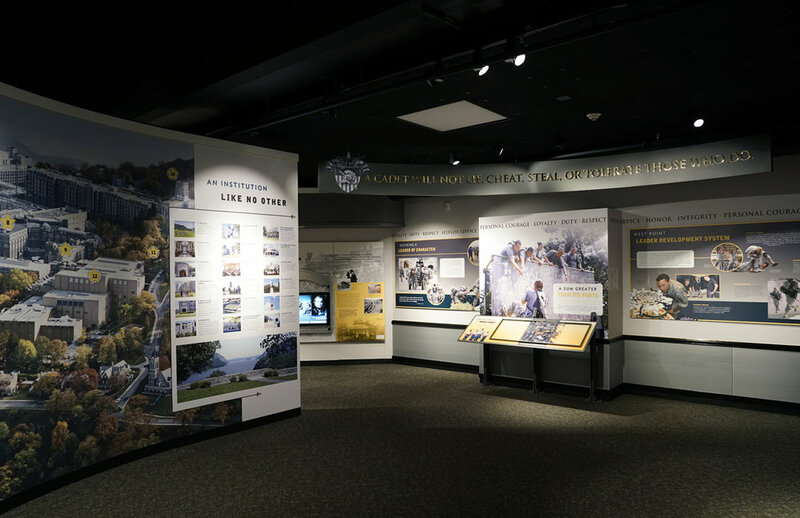 A new 10,000 square foot Visitors Center incorporates multi-media, hands-on, immersive and traditional exhibit experiences to assist visitors in understanding West Point’s innovative approach to developing leaders. 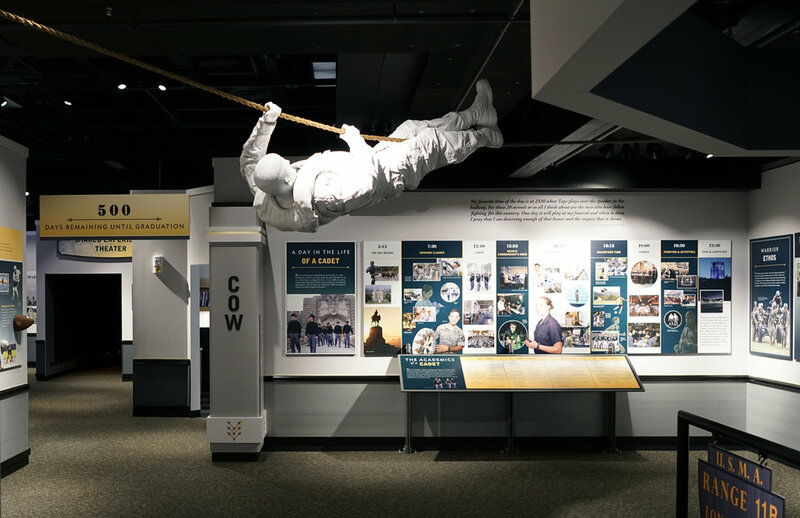 As opportunities to tour the Academy are limited, the center provides visitors with a sense of the physical beauty and power of its setting, along with a very personal sense of what cadet life is like. 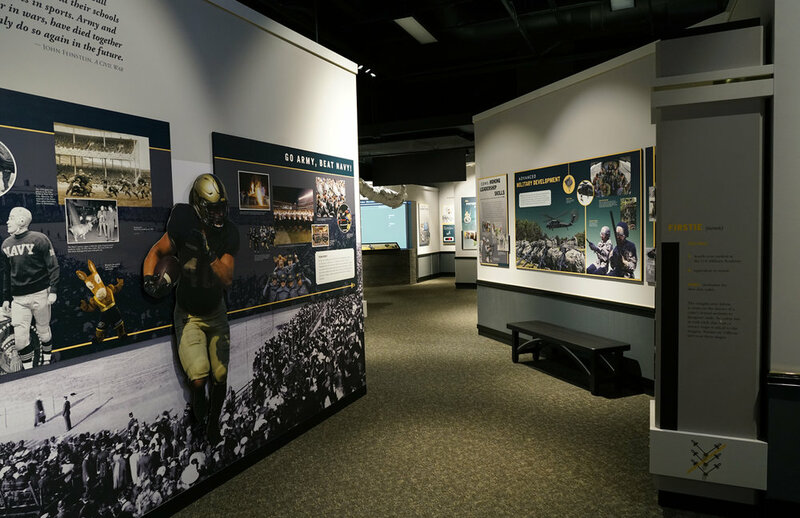 Visitors come away with a powerful sense of the iconic tradition and forward-looking importance of the Long Gray Line.